Are you still planning on going to the snow run at r+v the weekend of the 26th? Cool, I'm thinking about showing up for the Saturday runs. We'll see if that happens though. Hopefully see you there. 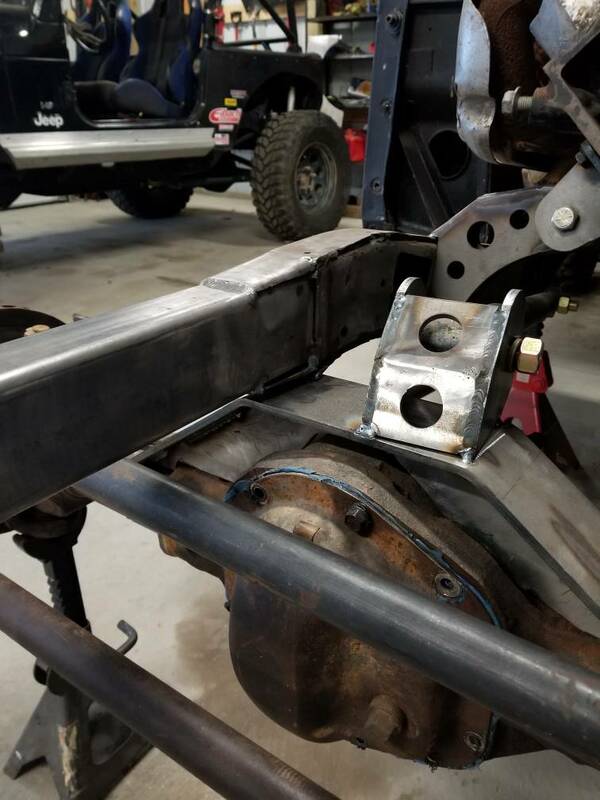 Everything is looking good so far at full bump, track bar is about level and will be able to clear the diff cover with no bend. I was really worried about that with the axle side mount lower and the pig on the passenger side. How are you doing the drag link? Y link? Cool, I hope to make it for sure! I have been struggling to come up with a steering box that will package nicely. I started with my wrangler box and that was pretty obvious it was not going to work. I flipped it around to try and simulate an astro van box but still not going to work. I then came across the Toyota IFS box that looked pretty promising but I don't like that it mounts outside of the frame. The steering box from my wife's JK looks like exactly what I want but those are still pretty expensive to buy. My latest find is a Jeep WJ box so I'm hoping to grab one of those from the junkyard this weekend. I also have a set of fox 2.0 resi coilovers that should be here next week to get this thing back on its own weight! Steering boxes are overrated lol. How much highway use do you plan on? For the occasional street use, full hydro is an option. I figured someone might bring that option up, and I'm not totally against it yet. 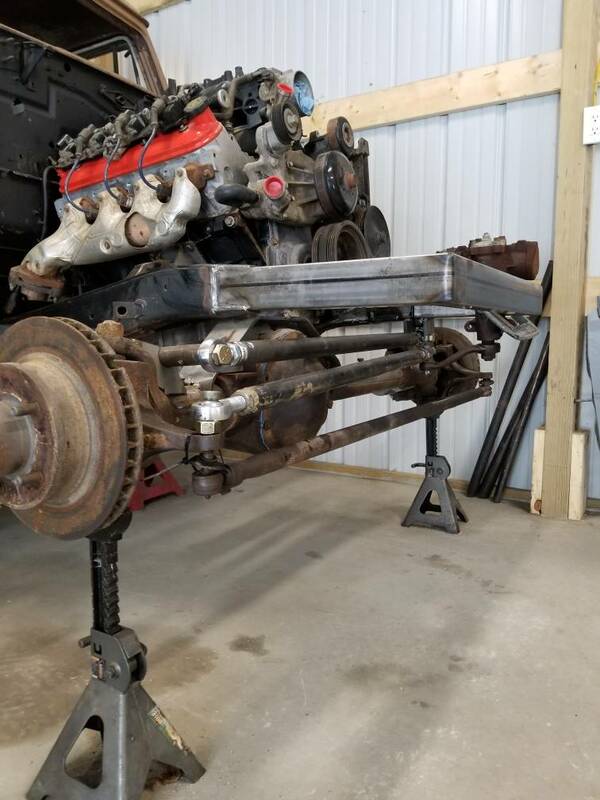 But with that said I won't run any bigger than a 35" tire with this set up so hydro will never be "necessary"
A mechanical linkage set up will be quite a bit cheaper than a hydro set up. It will see very little highway use, any long distance travelling it will be put on a trailer. You are correct. For your setup you will probably want mechanical. You could do the 4500 trick and run a smaller manual box and a double ended ram with an external servo. But that is likely gonna cost a few bucks. I looked at PSC and didn't see it, but you should be able to call and get the dirt on it. I braved the cold this weekend and pulled a wj steering box and then started mocking everything up. 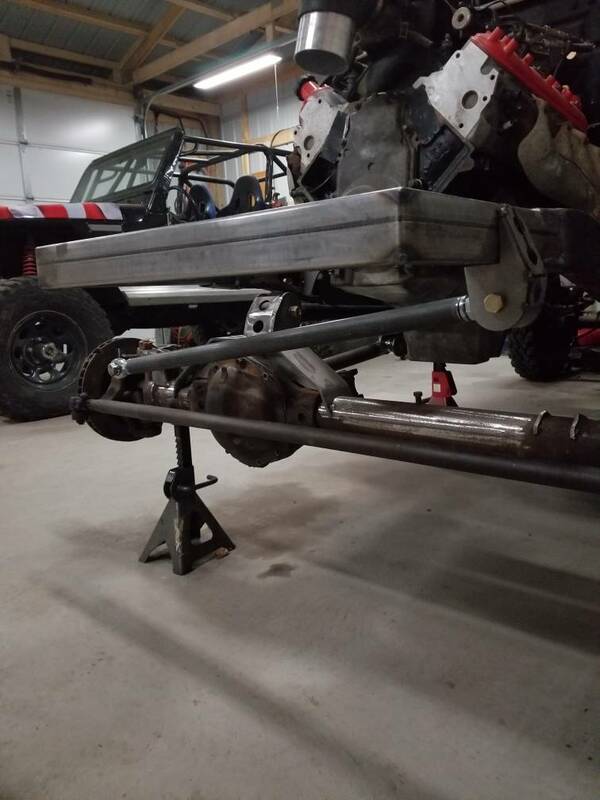 Tie rod over the knuckle with the drag link on a high steer arm seems to be the best option so far, only issue is the steering box sits pretty high on the frame and it is the most expensive option. Track bar and drag link are within an inch in length and at the exact angle. Another option I messed around with is the tie rod under the knuckle and the drag link on top. The steering box sits lower on the frame but track bar and drag link angles are way off. I have everything mocked up right now and as it sits, I'm happy with it. 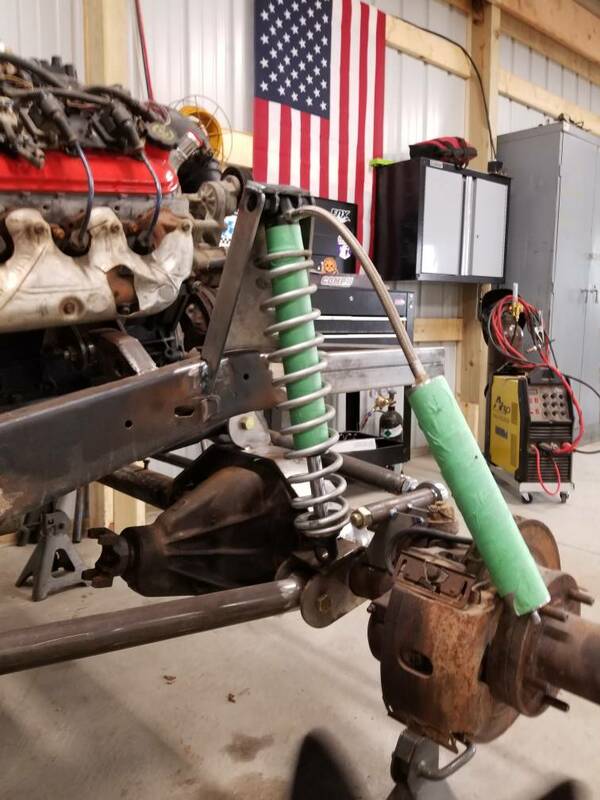 Clearance is close with the 1" od mock up tie rod so if that ends up being an issue a flat pitman arm will for sure be the solution.